Newtown and Enmore are incredibly popular neighbourhoods with Sydneysiders. They’re crammed to the gills with good dining options for any budget. There are great bars and pubs on every block, and because the area is outside Sydney’s lockout zone, the party can go on all night. In the daytime there are vintage clothing boutiques, crystal shops and record stores to wander through, and cafés to recharge in – and it’s not uncommon to see stickers around town imploring visitors and residents to “Keep Newtown weird”. To date, it hasn’t drawn a particularly touristy crowd. 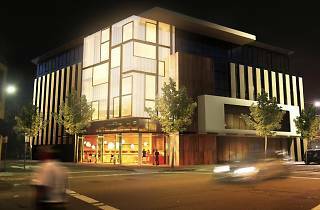 The low-key Urban Newtown, which sits on Enmore Road right near the fork of the neighbourhood’s other main drag King Street, isn’t looking to change that. 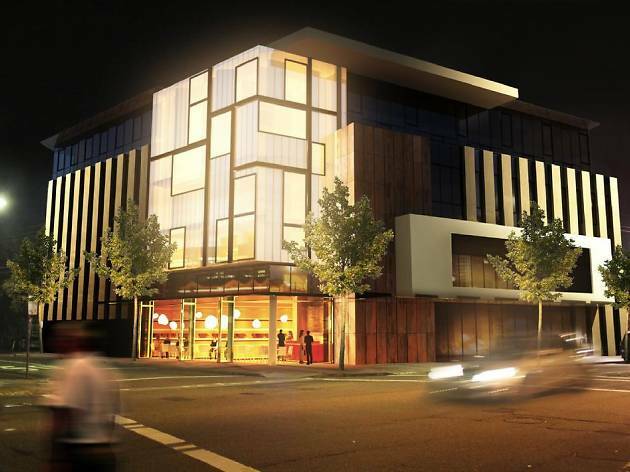 Opened in late 2014, the hotel brings the Inner West-vibes inside with corkboard and bare concrete finishes and graffiti-inspired art on the walls. Even the mini-bar is stocked with beer from local craft brewery Young Henrys. The 79 rooms aren’t spacious, but they are clean and bright, with suite, kitchenette and balcony rooms available. All come with complimentary Wi-Fi. The Urban doesn’t have much in the way of internal common areas – but in a neighbourhood like Newtown, you don’t need (or even want) them. Time Out tip: The Urban is by far the most convenient hotel to the Enmore Theatre – one of Sydney’s most-loved live music and comedy venues. There’s a big-name show on every other night, so see who’s playing while you’re in town.